Active Poppets | Almo Manifold & Tool Co.
Almo manufactures a line of active and safety active poppets from 16 to 50mm in size. Our 50mm safety active poppet is one of the largest of its kind. Our valves fit standard ISO 7368 and DIN 24342-cavity porting. 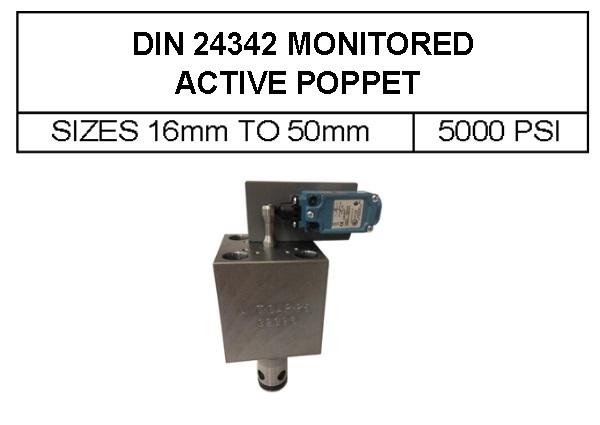 Control areas provide fast response time and can close poppet under high-pressure load. The active poppet is pilot operated to cut off the main hydraulic supply to the circuit. 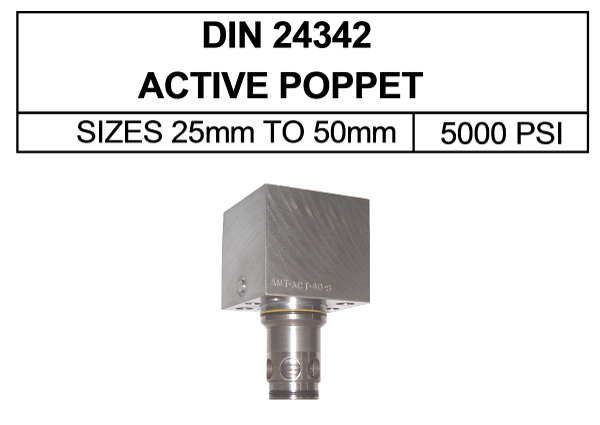 In some circumstances the active poppet can be used as a prefill valve. The safety active poppet serves to add required protection for clamp circuits. The active poppet is pilot operated to cut off the main hydraulic supply to the clamp circuit and also used for control press closings. Contact our engineering group and let us show you how we can apply Active and safety active valves into your application.